Warframe is a cooperative free-to-play third person online action game set in an evolving sci-fi world. Very Positive (3,579) - 84% of the 3,579 user reviews in the last 30 days are positive. Very Positive (246,548) - 91% of the 246,548 user reviews for this game are positive. 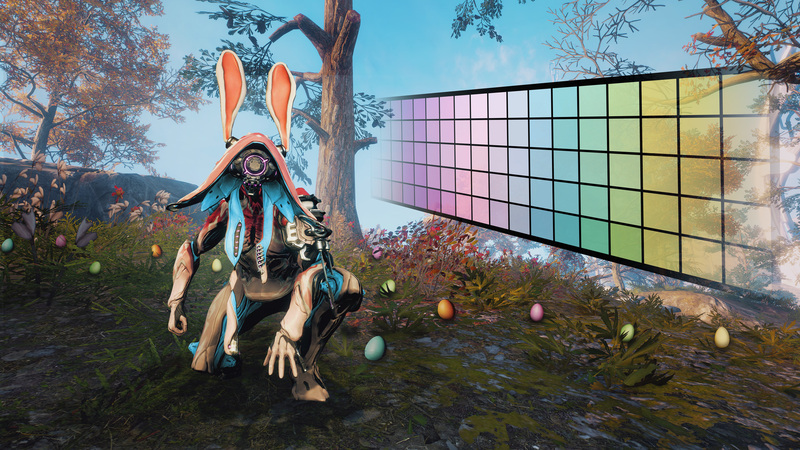 It’s time to put some spring into your step, Tenno! Visit the in-game Market to get the new Spring Step Ephemera to leave a trail of colorful Easter eggs that are sure to delight! Pick up this seasonal cosmetic for only 5,000 Credits. While you’re there, grab the fan-favorite Lepus Headgear for 5,000 Credits and the Easter Color Picker for just a single Credit! These items are only available until April 24 at 2 p.m. ET. Don’t let them hop away! As an added bonus this year, we’re running three extra Gift of the Lotus Alerts! Log in and complete these Alerts by April 24, 2 p.m. ET. Good fortunes, Tenno! *Note: These are limited-time cosmetics that will disappear from the Origin System the first week of May. Enjoy them while they last, Tenno! Atlas Karst Collection Out Now! Embody the power of mythical golems with the new Atlas Karst Collection! To move a mountain, become the mountain. 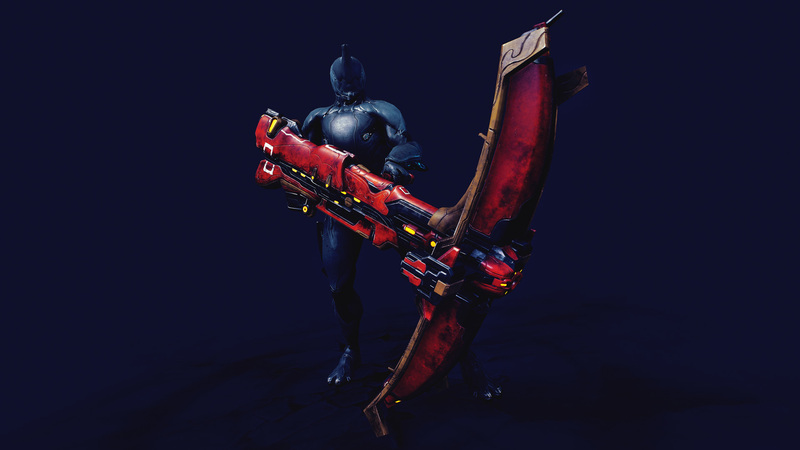 Embody the tectonic power of Atlas with this landmark skin. With seismic force shatter and sunder, blow upon blow. Enemies quake at the sound of these signature sparring weapons. Austere crystalline beauty, formed over time, deceptively delicate, lethally sharp. 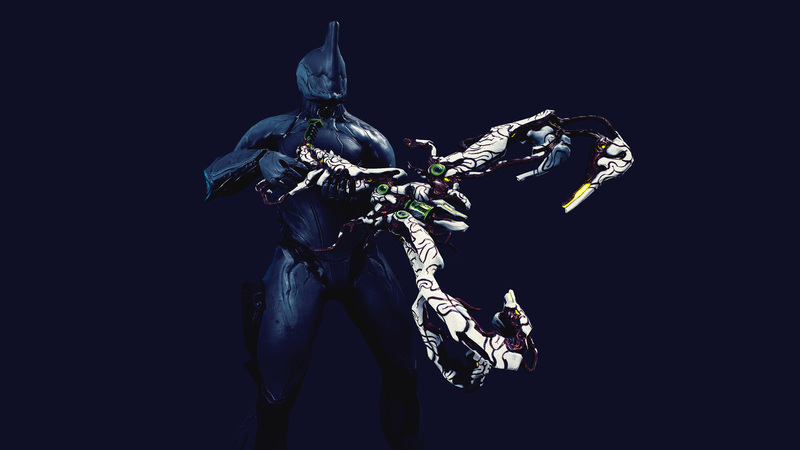 The Stratum Syandana perfectly compliments Karst, Atlas' deluxe skin. 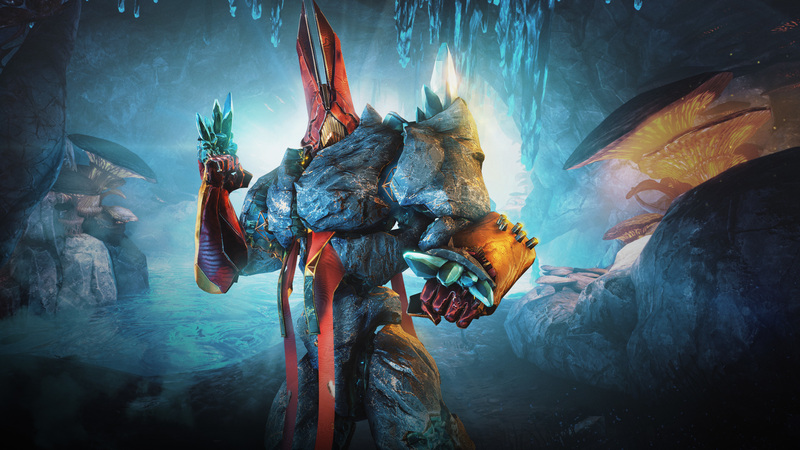 Shake the earth with this collection of deluxe items for Atlas that includes the Atlas Karst Skin, Tecton Sparring Skin and Stratum Syandana. Make your strength crystal clear, Tenno. 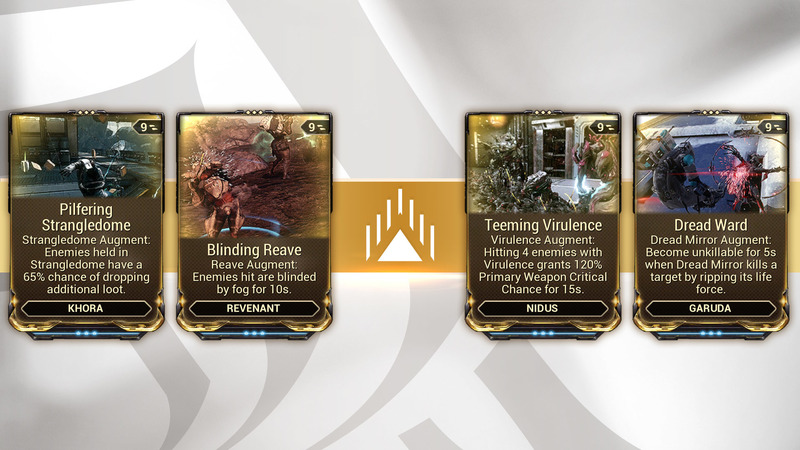 This update also includes four new Augment Mods for you to experiment with! Become unkillable for 5 seconds when Dread Mirror kills a target by ripping its life force. Enemies hit are blinded by fog for 10 seconds. Hitting 4 enemies with Virulence grants 120% Primary Weapon Critical Chance for 15 seconds. Enemies held in Strangledome have a 65% chance at additional loot drops. With Abilities powered by her Shields, Hildryn is always ready to jump back into the fight. Take control of her devastating Abilities as you work together with the community to solve Operation: Buried Debts. Phase 1 of the much-anticipated Melee revamp is here! With these changes, you’ll experience more fluid combat and a smoother, faster, bolder system to harness as you slash your way through the Origin System. Phase 1 includes uninterrupted combat with no need for locking into Melee mode, combo resumes, aimed ground slams, and more. Become the deceptively Sentient warrior with the illusive Limbo Limina Skin, customize your ride with new K-Drive modular parts, and give your Operator a fresh look with one of three new Curly Hairstyles. Get Prime Access now and make the newest Prime yours - instantly! Prime Access is a rotating program that includes the latest Prime Warframes and Prime Gear in bundles of discounted Platinum and other exclusive items. Prime Access offers instant access to the latest Prime Warframes and Prime Gear without requiring the build time. 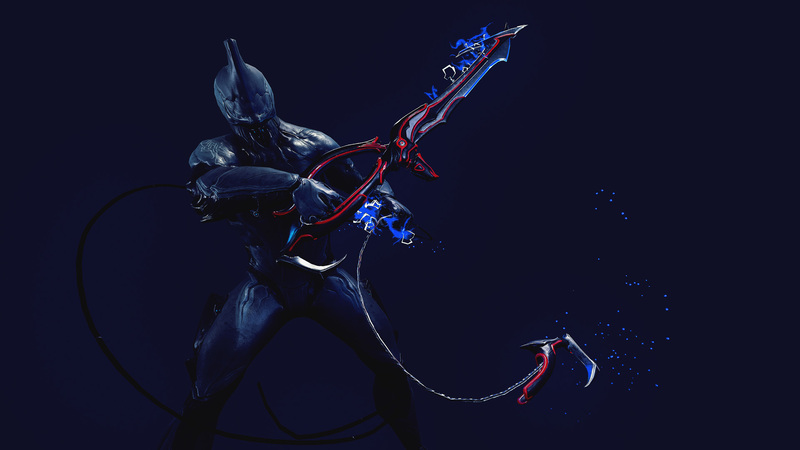 With more than 30 Warframes, each fully customizable with their own unique abilities, you can create the perfect Warframe for you. Katanas. Crossbows. Flamethrowers. Expand your Arsenal with more than 300 diverse Weapons, then modify each one to match your playstyle. Slice and dice through hordes of enemies, or go in guns blazing, or sneak your way in — the choice is yours. Explore, discover, fight, and fly in massive open landscapes within Warframe. Seamlessly leap, slide and glide through capital ships and underground compounds with a robust movement system. In the far-future world of Warframe, grotesque clones and capitalist machines dominate our solar system. Fight back against greed and corruption as you explore 18 worlds filled with techno-organic horrors. You don’t have to work alone. Invite three friends or fight alongside the 38 million strong in our Tenno community. Warframe is entirely free-to-play. With no barrier to entry, there’s nothing to stop you and your friends from joining our world. Welcome to the Origin System, Tenno. Note: There is no Mac or Linux client currently available. Warframe and the Warframe logo are registered trademarks of Digital Extremes Ltd.
1,636 Curators have reviewed this product. Click here to see them.